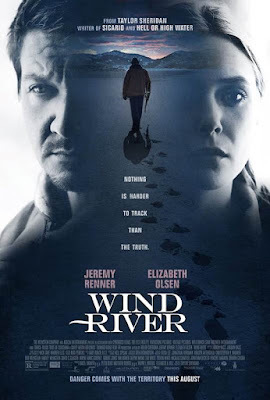 We're happy to offer our DC readers the chance to attend a free advance screening of Wind River, starring Jeremy Renner and Elizabeth Olsen, from writer/director Taylor Sheridan (Sicario, Hell or High Water). The screening takes place on Monday, August 7th at 7:30pm at Landmark E Street. If you'd like to attend, simply complete the required steps in the Rafflecopter contest form below. Winners will be selected on Friday, August 4th and notified by email. Good luck! Wind River opens in DC on August 11th.